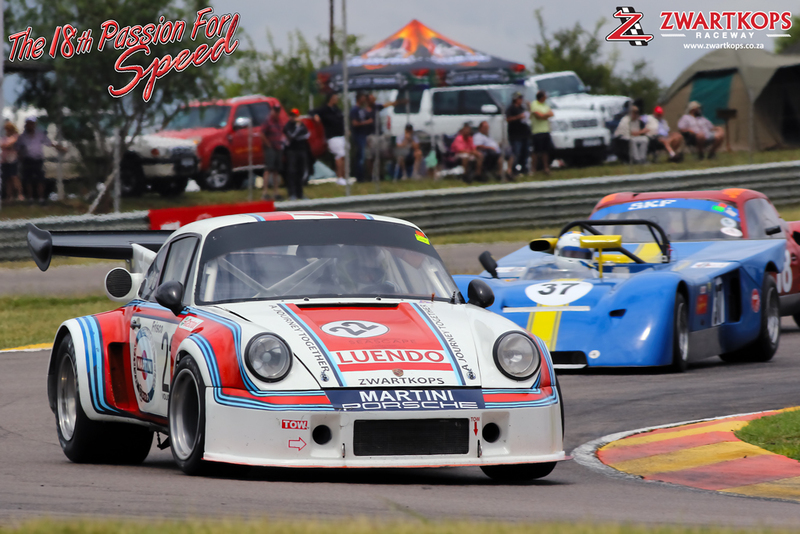 On the track, the event’s official highlight on Saturday, February 2 will be the 18th Castrol Tourist Trophy race for Pre-1968 Le Mans Sports and GT cars. 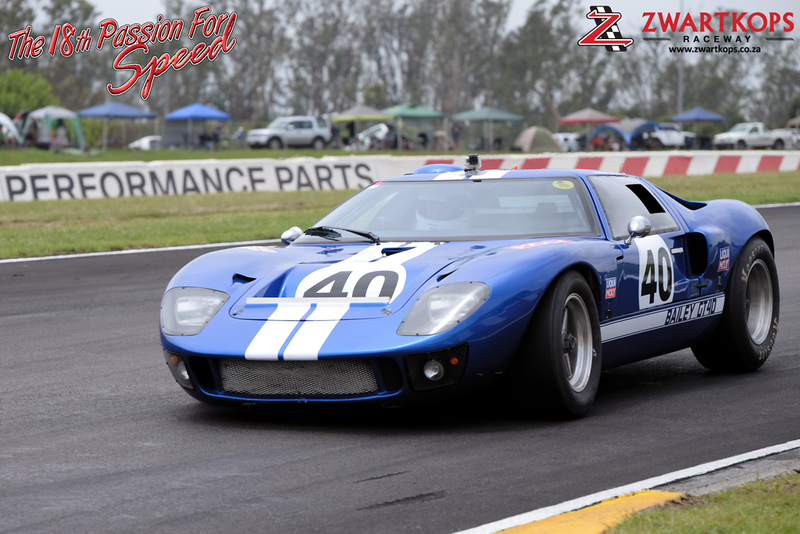 Topping the list will be cars like the Lola T70 Spyder of Rui Campos, the Cobra Mk3 V8 of Warren Lombard, the Chevron B8 of South African saloon car champions Michael Stephen and Jeffrey Kruger, the Ginetta G4R of Josh Dovey, the Lola T70 Spyder of Mark and Jonathan du Toit, the Ford GT40 of Peter Bailey, the Shelby Daytona of Peter and Paige Lindenberg, the Shelby Cobra of Chad ten Doeschate and the Ford GT40 of Swedish driver Jan Kling. 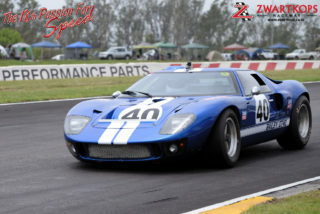 Other epic cars will contest the races for Castrol Pre-1974 International Sports Prototypes. 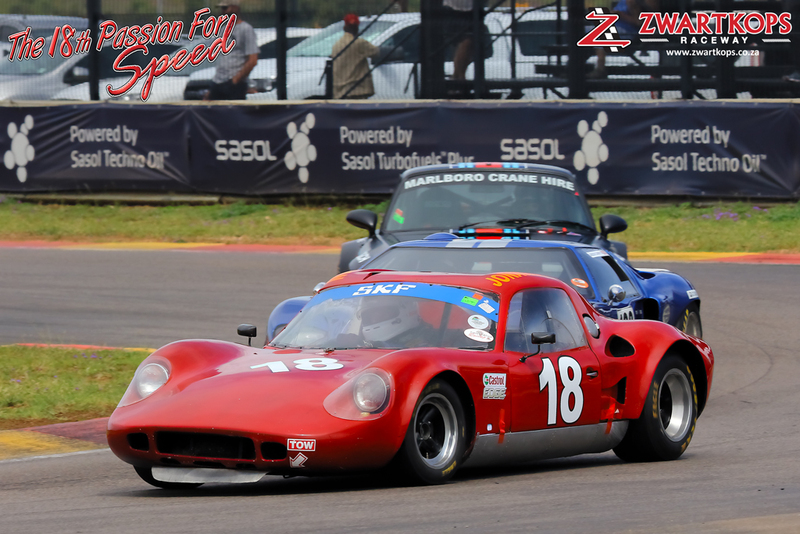 Top contenders will include Neil Lobb (Lola T70), Jonathan du Toit (Chevron B8), George Avvakoumides (Porsche 911), Carel Pienaar (Chev Camaro), Peter van der Spuy (Porsche RSR Turbo), Andre’ Bezuidenhout (Porsche RSR Turbo), Lee Thompson (Ecosse), Jan Kling (Ford GT40), Roy Douglas (Lancia Beta Montecarlo), John Beaumont (Porsche 917) and Keegan Campos (Porsche 911 RSR). The event’s largest fields will be seen in the races for Pre-1980 Historic saloon cars with 35 vehicles set to face the starter. 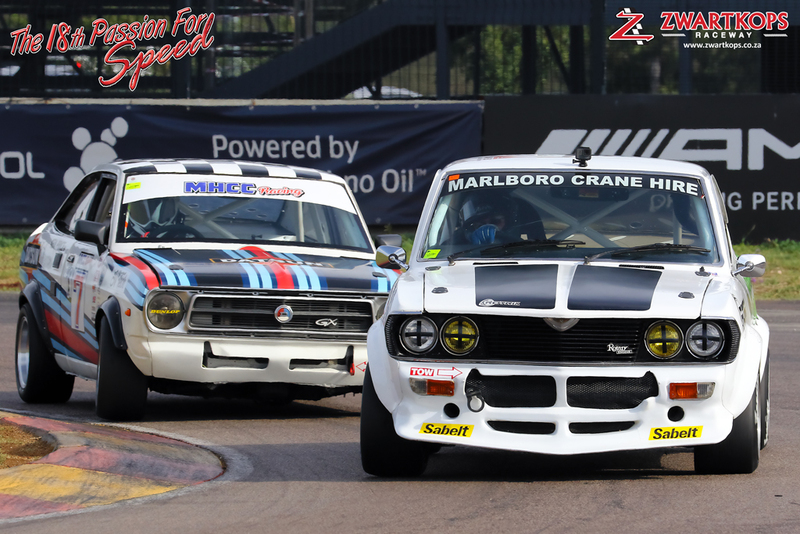 Pre-event favourites must include Seef Fourie (Mazda R100 Rotary), Willie Hepburn (Ford Capri 3,0), Johann Smith (Mazda Capella), Jannie van Rooyen (VW Scirocco), Trevor Tuck (BMW 535i), Deon van Vuuren (Mazda R100 Rotary), Mike O’Sullivan (Chev SS), Jason Campos (BMW 328i), Mario Rossi (Ford Capri GT), Peter Ross (Alfa GTV6), Graeme Nathan (BMW E9), Roelf du Plassis (BMW 325) and Derek Boy (Chev Firenza CanAm). 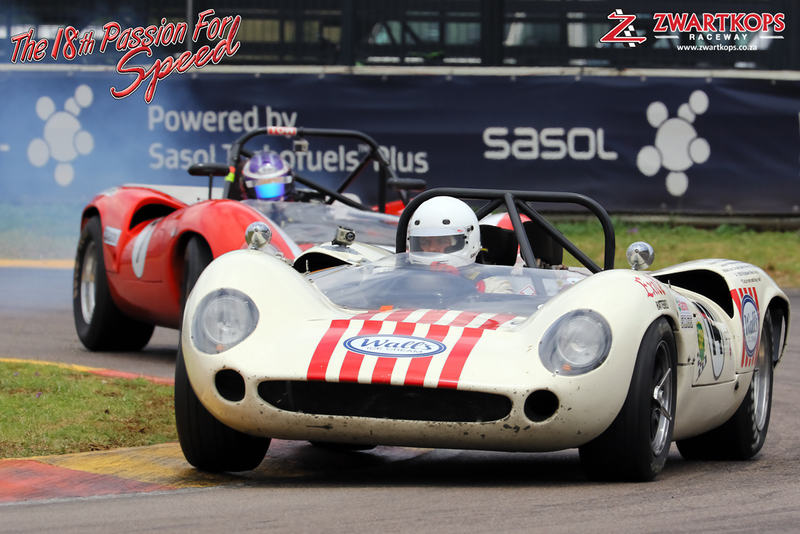 There will also be races for Pre-1966 Legend saloons, Under Two-litre and Little Giant cars, Historic Single seaters, Midvaal Historic cars, Liqui Moly INEX Legend cars and current day G&H Transport Extreme Supercars. 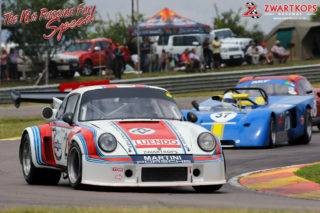 On the Sunday, there will be races for Bridgestone Challenge motorcycles, Bridgestone Superbikes, and Red Square Kawasaki ZX10 Masters motorcycles. 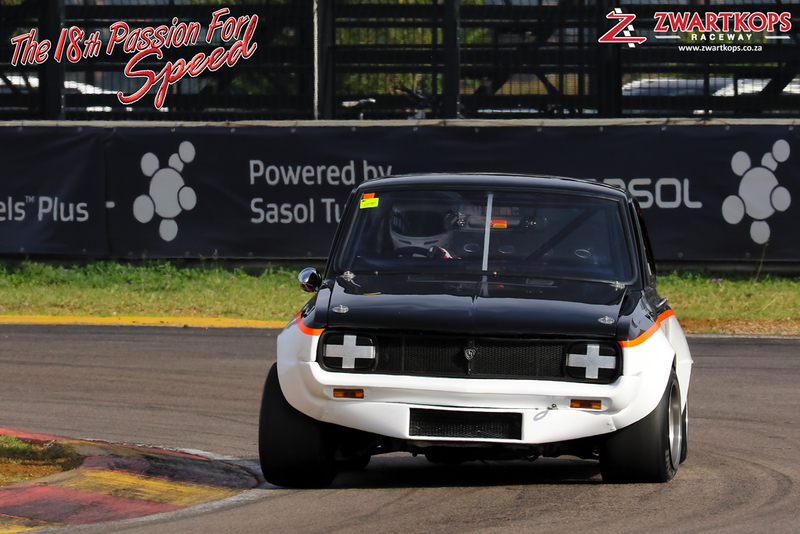 Off the circuit, Volkswagen and Volvo will add great spectator interaction, with everybody welcome to go on skidpan, kart circuit and 4×4 passenger rides throughout the meeting – all free of charge. The circuit office will be running social media promotions plus lucky ticket draws, so that lucky winners can fast track and not have to wait in line on the event days. As always, all spectators will be invited to visit the Zwartkops pits on foot at any time. Zwartkops makes this easy, with their Mini Moke trailer trains running between the pit gate and the various spectator spots throughout the day. There will be stalls, live entertainment, a kiddie’s corner and beer garden in the pit area. Food and drink will be on sale or you may buy your own, with parking and grand stand seating free of charge. Pre-event tickets are available at R200 for adults and R130 per student, with kids under the age of 12 to go in for free.